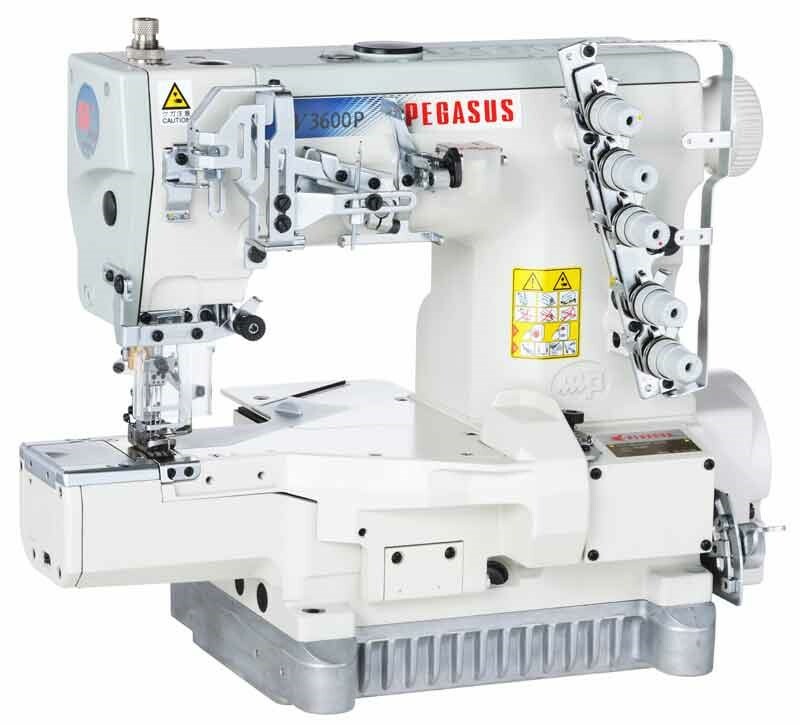 Supper high speed direct drive left side cutter, pneumatic auto-trimmer interlock machine. 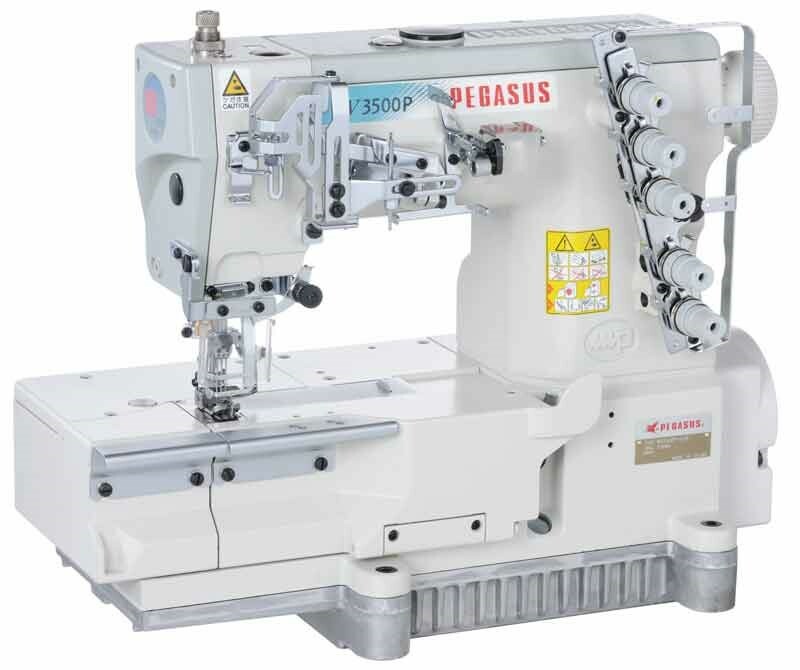 This model is equipped with hemming guide, left side cutter fabric trimmer and fabric chips suction pipe. 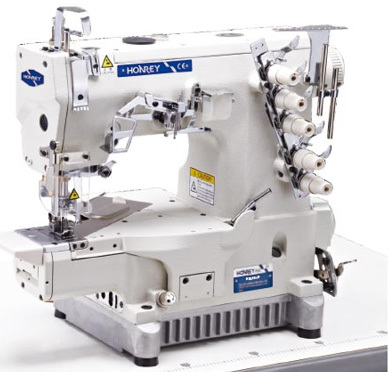 Hemming guide plate mounted on the sewing bed can easily fold the tubular fabric downward. 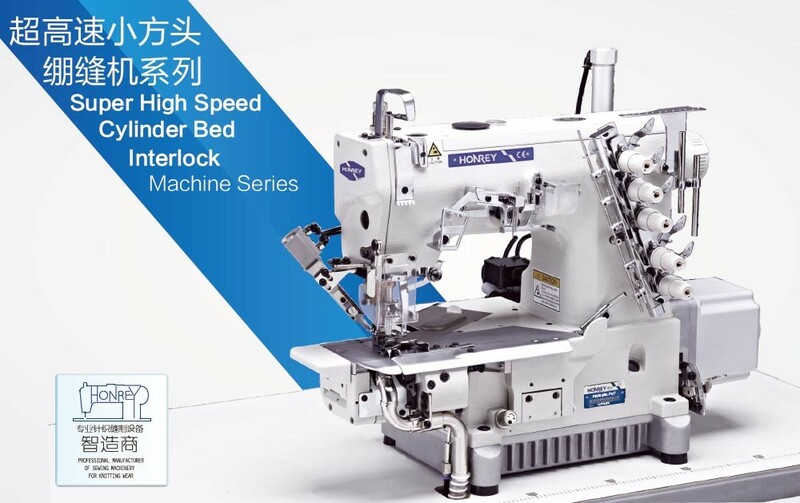 Supper high speed direct drive cylinder bed pneumatic auto trimmer interlock machine. 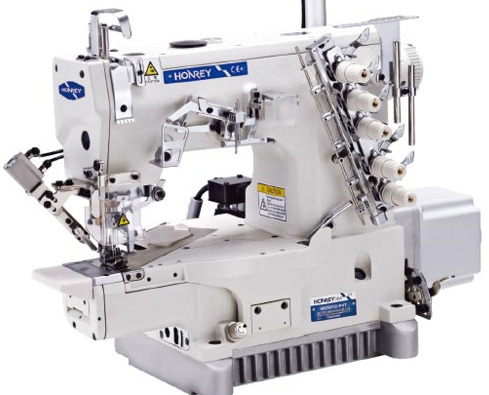 For general plain interlock sewing. 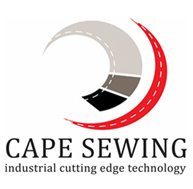 Suitable for the smooth sewing of tubular procedures such as sewing cuff and neck band of t-shirts etc.